"Diets, exercise tapes, weight loss supplements… I tried them all and nothing worked. 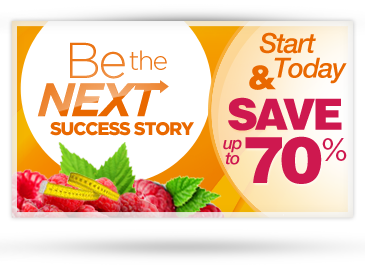 Since I started using Raspberry Ketone Force, I've managed to lose weight and feel better than ever." "I've been overweight my entire life and nothing ever seemed to help. I'd lose weight on a diet, only to gain it back as soon as I stopped dieting. Most weight loss supplements made me tired and when I was counting calories, I'd often go to bed hungry. Raspberry Ketone Force helped me lose weight without feeling hungry or tired. The best part is that I didn't have to count calories! I only wish I had heard about it sooner." "I needed to slim down before my wedding but I didn't want to starve myself or spend all my time counting calories. One of my friends recommended Raspberry Ketone Force. I couldn't believe my eyes when I went to my dress fitting and saw how good I looked." "After giving birth to my daughter, I could not shake those last few pounds. I saw an ad for Raspberry Ketone Force and decided to give it a try. Now I weigh less than I did before I got pregnant." "Raspberry Ketone Force is my secret to a bikini-ready body. After losing the 'spare tire' around my belly, I'm telling everyone I know to try it for themselves." Everyone's body is different. Your results may vary. To optimize results, combine Raspberry Ketone Force with a healthy diet and exercise.